Heterogeneous samples are usually studied using solid-state NMR methods and while the sample is spinning at the magic angle. This is problematic for many cases, where the sample cannot be spun, as in MRI. The alternative methodology of spinning the magnetic field around a static sample has been proposed since the 60's, but not yet successfully applied. Our goal is to develop the methodology and the instrumentation in order to perform magic angle field spinning and answer questions related to the monitoring of metabolism in living matter as well as the structure and function of complex systems like batteries, porous media and fuel cells. We have recently introduced the first homogeneous pure-permanent magnet that generates a magnetic field tilted with respect to its axis. Upon mechanical rotation the field can perform a conical trajectory at the magic angle. We are currently on the way to demonstrate the first experimental results of this ground breaking instrumentation. 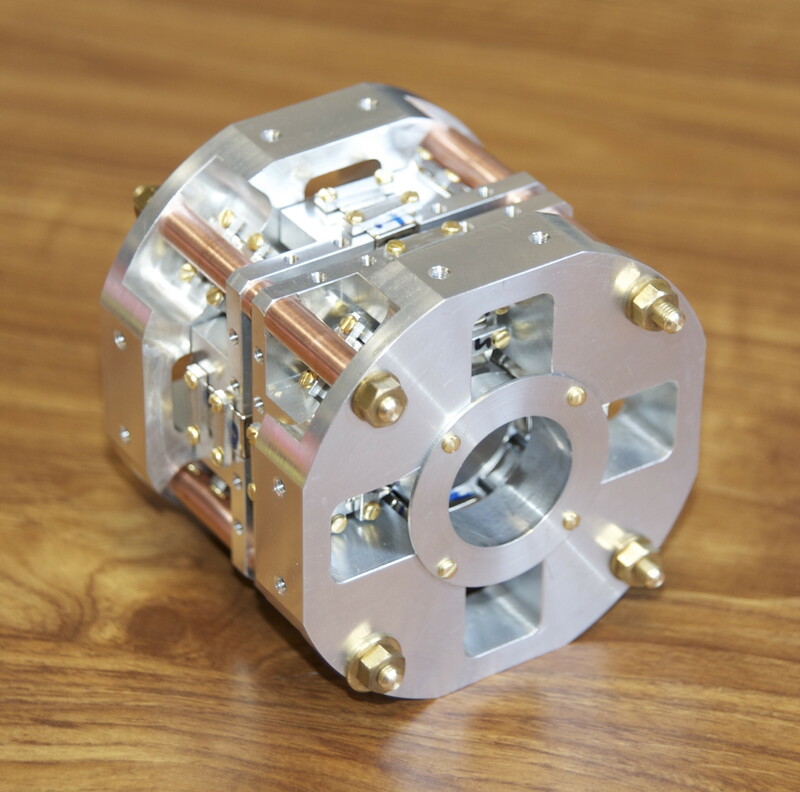 This unique project is named R-EvolutioN-M-R for Rotating EvolutioN Magnetic Resonance, and has been generously funded by the European Research Council Starting Grant #205119. Permanent magnet assembly producing a strong tilted homogeneous magnetic field: Towards magic angle field spinning NMR and MRI. Sakellariou, D.; Hugon, C.; Guiga, A.; Aubert, G.; Cazaux, S. & Hardy, P., Magn. Reson. Chem., 2010, 48, 903-908. 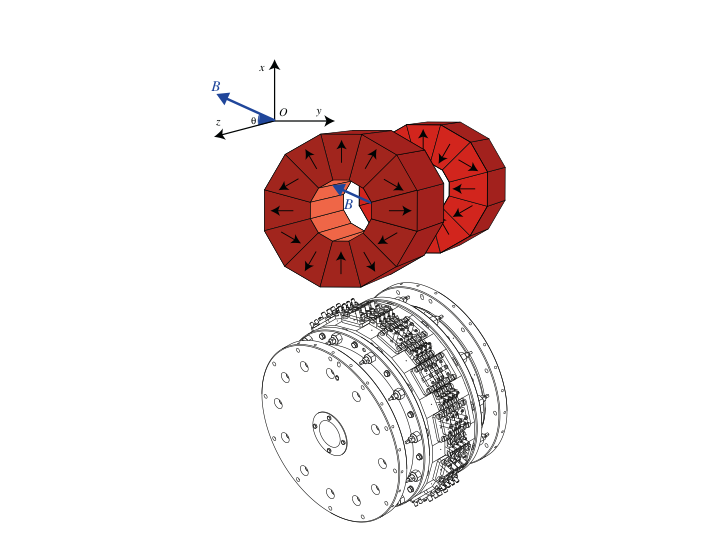 "Generalized shim and gradient generation: Application to the magic angle field spinning case"
C. Hugon, X. Li, G. Aubert and D. Sakellariou, Micropor. Mesopor. Mater., 178, 31 (2013).